If anybody had the tiniest illusion that incoming President Donald Trump would appoint somebody who cares about the Delta, Klamath River, fish and wildlife and the environment to his transition team, it was quickly dispelled with the appointment of two anti-environmental extremists to his team after he was elected. On Friday, Representative Devin Nunes (CA-22), one of the most aggressive Congressional proponents of increasing Delta water exports to agribusiness and opponents of fish and wildlife restoration in California and the West, joined the 16-member executive committee of Donald Trump’s transition team. 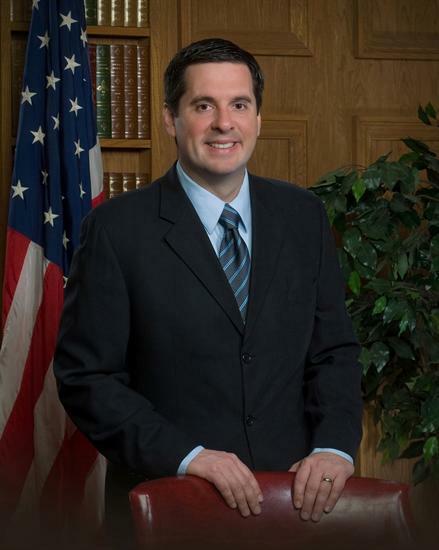 Nunes chairs the House Intelligence Committee and disagrees with Trump on issues including so-called “free trade" deals. Nunes is a backer of the controversial Trans-Pacific Partnership trade deal that Trump claims he will stop. However, Nunes told McClatchy News this week that he believes Trump supports corporate agribusiness interests on the west side of the San Joaquin Valley in their push to export more Delta water. Nunes has been one of the greatest advocates for the weakening of the Endangered Species Act, Clean Water Act and other landmark environmental laws. It gets worse. Politico reported Wednesday that David Bernhardt, a lawyer who co-chaired the natural resources department at the firm Brownstein Hyatt Farber Schreck and served as a George W. Bush Interior Department official, is leading the transition's Interior Department team. Other members of Trump’s transition team include Silicon Valley billionaire Peter Thiel, the co-founder of PayPal and a board member of Facebook; Trump's sons and daughter Ivanka; and Trump campaign CEO Steve Bannon, the former executive chairman of Breitbart News LLC, who has worked as an investment banker with Goldman-Sachs, filmmaker and political consultant. Trump's “rumored cabinet wishlist” includes Sarah "Drill, baby, Drill" Palin as Secretary of the Interior; anti-EPA Texas Ag Commissioner Sid Miller as Secretary of Agriculture; and fracking billionaire Harold Hamm as Energy Secretary, according to Michael Brune, Executive Director of the Sierra Club. Trump hasn't taken a specific position on the Governor Jerry Brown's "legacy" project, the Delta Tunnels, but his comments to date on California water have shown a strong embrace of the campaign by corporate agribusiness interests to pump more water from the Delta at the expense of Delta smelt and salmon populations. At a rally at the Selland Arena in Fresno, on May 27, 2016, Trump appeared to agree with the claims of some growers that there is no drought in California. He also claimed that the subsidized water that growers should have received was washed out to sea in an effort to protect “a certain kind of 3-inch fish," referring to the Delta smelt, an endangered indicator species that demonstrates the health of the San Francisco Bay-Delta Estuary. Many of those opposed to the construction of the Delta Tunnels fear that Governor Brown may try to make a deal with the Trump administration to back the construction of the California Water Fix, his "legacy project. On Thursday, Brown issued a statement saying his administration would do its part “to find common ground whenever possible” while “protecting the precious rights of our people” and confronting “devastating climate change. While I strongly support the Governor's call to protect people’s rights and to confront climate change, I fear that the “common ground” that the Brown administration will find with the Trump administration will be on tunnels, new dams and fracking. We must stop Brown from working with Trump to weaken landmark laws like the Endangered Species Act and Clean Water Act in order to fast-track the completion of the California Water Fix before he leaves office. The two 35-mile long tunnels under the Delta would make the Delta, San Francisco Bay and our ocean waters into a giant aquatic graveyard. We must drive a stake into the heart of this project and stop it from pushing Delta and longfin smelt, Central Valley steelhead, Sacramento River winter-run Chinook salmon, green sturgeon and other fish and wildlife species into extinction — and prevent Brown and his administration from making any deals with the Trump that will push forward the tunnels, as well as new dams and fracking. Caleen Sisk, chief and spiritual leader of the Winnemem Wintu Tribe, affirmed the Tribe’s plan to resist any plans by the Trump or Brown administrations to sacrifice salmon, the environment and human rights at the altar of corporate greed.